Heading into next week's Thanksgiving holiday, motorists in just about every part of the country will find lower gasoline prices, making the trip to Grandma's house a little less expensive. The AAA Fuel Gauge Survey shows the national average price of regular $2.65 a gallon, down seven cents a gallon from a week ago. That's 13 cents cheaper than a month ago. The average price of premium is $3.23 a gallon, down six cents from last Friday. The average price of diesel fuel is $3.24, just two cents lower than last week. The reason for the big drop in prices at the pump is the price of oil, which has been in a free-fall for weeks. After rising to an unseasonably high price because of impending sanctions on Iranian oil, the price has come crashing back to earth. West Texas crude is selling for around $57 a barrel, down about $20 from its recent high. 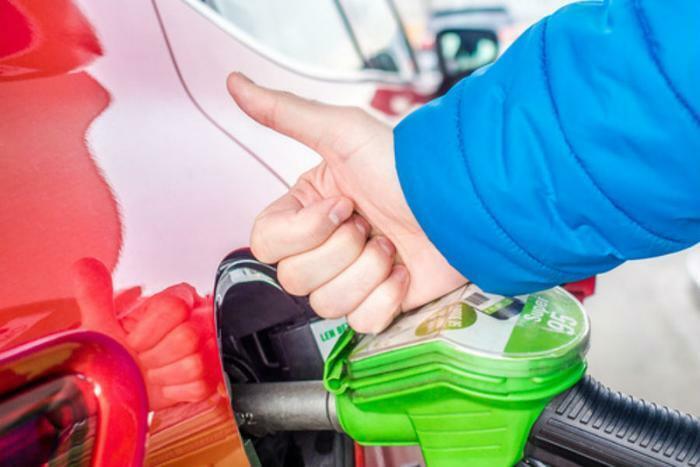 Gas prices are likely to keep falling because the latest numbers from the Energy Information Administration show U.S. oil supplies continue to grow, rising for an eighth straight week. "Growth in global crude production, including in the U.S., combined with weaker than expected global crude demand for the fourth quarter are leading some market observers to worry that the global crude supply glut from 2017 has returned," AAA said in its latest market update. But the bad news for the oil market is great news for consumers, who paid unseasonably high prices for fuel long after the summer driving season ended. Absent refinery issues, nearly every state saw its average gas price decline. Delaware's average price fell 9 cents a gallon, making it the state with the cheapest gasoline in the nation. Even Hawaii, which is consistently the highest priced state for gasoline, experienced an eight cents a gallon drop in the average gasoline price.